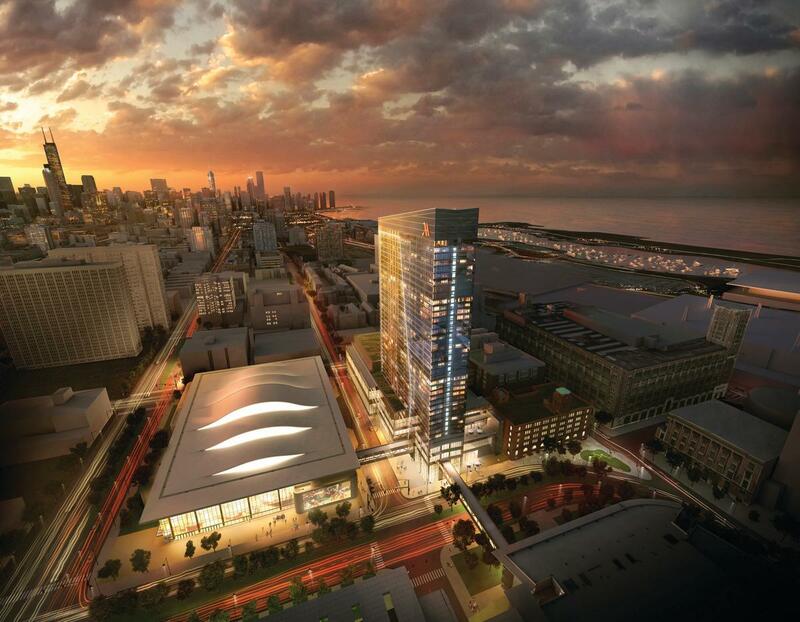 By the end of 2018, Chicago is expected to grow its hotel inventory by more than 20%. From major chains to trendy boutique hotels, one thing is clear: we have plenty of room for your next meeting. With an ever-growing landscape of cultural attractions, sporting events and world-class dining, Chicago is in higher demand than ever. In 2015, we exceeded 50 million annual visitors for the first time, with a significant number comprising of meeting and event attendees. To accommodate this influx, Chicago has invested in an abundance of new properties that are rapidly changing the city&apos;s hotel scene—from the always-hot Magnificent Mile to vibrant Fulton Market. From 2014 to 2018, Chicago&apos;s Central Business District is projected to be the third fastest growing market in terms of both hotel properties and room additions with greater than 20% growth. 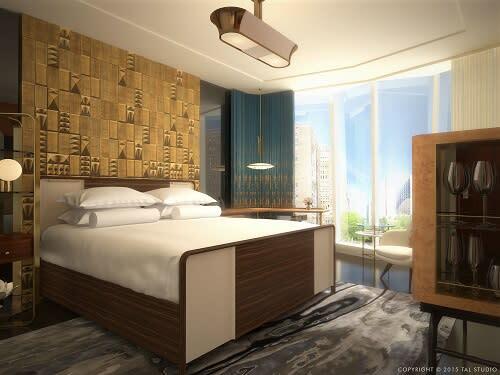 In 2016 alone, Chicago welcomed 1,675 new hotel rooms. The next two years will more than double that number, with an expected 3,983 opening their doors. The result is an annual room supply in excess of 16 million. And we&apos;re showing no signs of slowing down. The surge brings not only well-loved banners like Marriott and Hilton, but a new focus on design-forward boutique properties that offer unique new ways for meeting attendees to experience the city. Here&apos;s a preview of some of the notable properties that have hit or will be hitting the market. 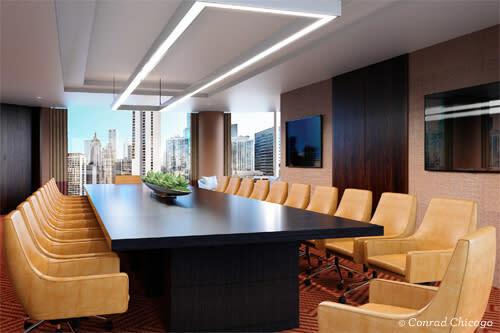 With 10,000 square feet of event space illuminated in natural light, Conrad Chicago takes advantage of the top two floors of the hotel, and delivers a one-of-a-kind, 360-degree inspirational experience. Outside of the views, it boasts the latest in meetings/events technology. Imagine 3D custom-imaging software so planners can see 3D renderings of their event space, decor and seating setups. Guest rooms are tech-forward with a theater-like experience from 65-inch TVs (the largest in Chicago hotels), Bluetooth-enabled entertainment systems and keyless check-in. And, when ready to move on to culinary experiences, two restaurants/bar spaces and a rooftop are at the ready. This pair of boutique properties from Mexico-based Grupo Habita opened after three years of construction. Presiding over the buzzing six corners of Damen, Milwaukee and North avenues in trendy Wicker Park, The Robey and The Hollander are a gateway to some of Chicago&apos;s most cutting-edge cultural offerings—from mixology cocktail lounges to contemporary art galleries. The Robey occupies Wicker Park&apos;s iconic 12-story Northwest Tower, which dates to 1929, and the rooms combine original art deco details with sleek, modern design. 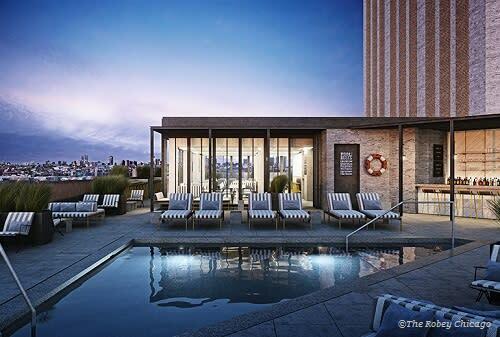 There is also a ground-level restaurant, as well as a rooftop bar with sweeping downtown views. 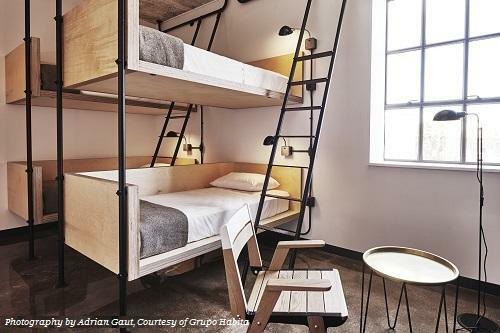 Down the street, The Hollander transforms a 1905 warehouse into a breakthrough "social" concept hotel that features a mix of private and shared rooms. The airy private lofts feature a modern-industrial aesthetic that will make meeting attendees feel like they&apos;re part of the neighborhood. The Ace Hotel opened in Fall 2017, helping to cement the Fulton Market district as one of Chicago&apos;s hottest neighborhoods for locals and visitors alike. This former meatpacking district is a burgeoning tech and entertainment hub, with Google Chicago recently opening its doors and two Grant Achatz-helmed hotspots, Next and The Aviary, drawing foodies from around the city. 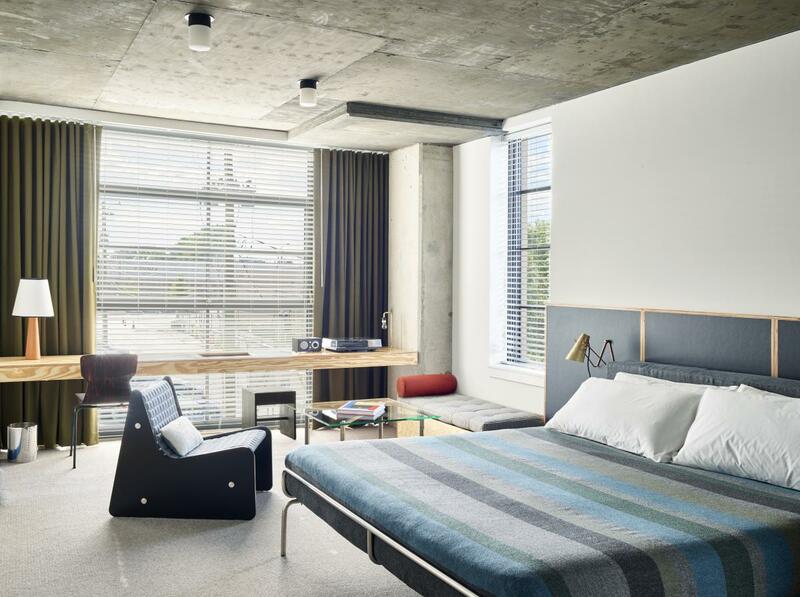 The Portland, Oregon-based Ace Hotel brand, which specializes in trendy, minimalist design and top-notch amenities, is known for pioneering on-the-verge neighborhoods across the country, from Belltown in Seattle to New Orleans&apos; Warehouse District. Spreading over 18 stories, Chicago&apos;s Viceroy Hotel is strategically positioned within easy walking distance of both the Loop and the lake—two huge draws for meeting attendees. This design-oriented, Los Angeles-based hotelier has upscale locations in New York, San Francisco and Dubai, to name a few. The Chicago extension is a glassy modern tower built atop an historic hotel at 1118 N. State Street. With a rooftop pool and lounge, overlooking jaw-dropping Lake Michigan and skyline views, as well as a trendy restaurant helmed by award-winning chef Lee Wolen, Chicago’s Viceroy has it all. With tempting new hotel and dining options on deck, there are more reasons than ever to never leave the McCormick Place campus. Leading that charge, Marriott Marquis opened a 40-story hotel that boasts a sky bridge connecting the property to the McCormick Place West Building, making it an attractive option for meetings and events year-round. The hotel also has two ballrooms, a 350-seat restaurant, and ample meeting spaces options to choose from. Two new hotels from the mid-priced Cambria Hotel & Suites banner will reach completion in 2017. 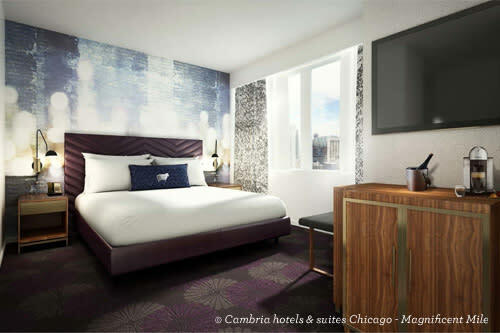 Opening first is Cambria Hotel & Suites Magnificent Mile, which will be a rebrand of the existing MileNorth Hotel above the Oriental Theater. Situated between Michigan Avenue and Lake Michigan, the hotel is a stone&apos;s throw to destinations like Navy Pier, Millennium Park and 875 N Michigan (formerly the John Hancock Center). This prime location gives attendees easy access to many top-rated restaurants as well as shopping and entertainment at the bustling Block 37 development. 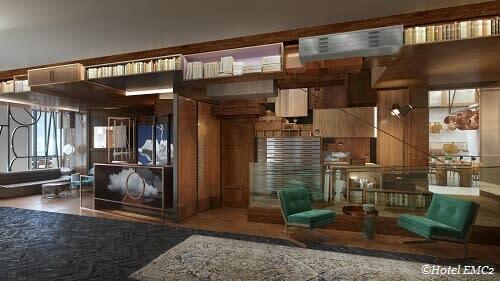 Part of the prestigious Marriott Autograph Collection, Hotel EMC2 brings an imaginative and innovative twist to Chicago&apos;s hotel scene (the name is a play on Einstein&apos;s theory of relativity). Think modern design, cheeky touches and communal dining at The Albert restaurant. The property offers nearly 2,000 square feet of meeting space, making it an ideal destination for small events. Chicago is anticipating a projected 5.2% growth in room supply in 2018, with nearly 2,000 additional rooms and another seven hotel properties being added to the city’s urban landscape. Another addition to booming Fulton Market, this hotly anticipated project brings star power and high-end design to the West Loop. Co-owned by actor and hospitality entrepreneur Robert DeNiro, the Nobu sushi empire added hotels to its résumé in 2013. Featuring, appropriately, a modern Japanese aesthetic, the brand will introduce a Chicago location in late 2017. The property broke ground in June 2016, with DeNiro himself hoisting a shovel to mark the occasion. Nobu Hotel will also have a sidewalk-level restaurant and bar, plus a 10,000-square-foot restaurant and rooftop terrace. As these continue to develop, meeting attendees will have a plethora of new ways to make themselves at home in our great city.